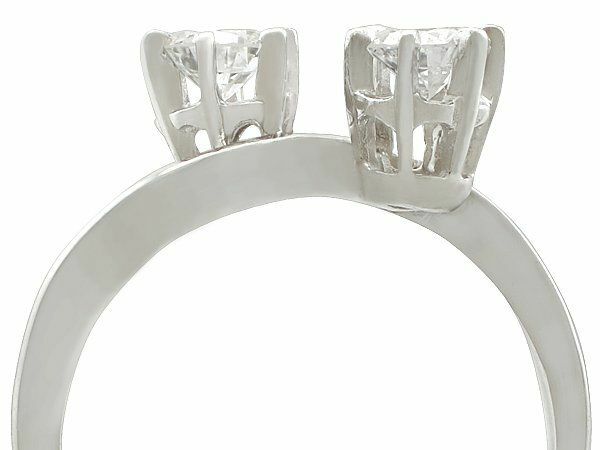 This fine and impressive vintage diamond twist ring has been crafted in 14 ct white gold. 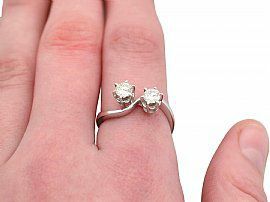 The ring displays two feature modern brilliant round cut diamonds (0.42 ct and 0.44 ct) six claw set diagonally on a twist within pierced decorated basket style settings. 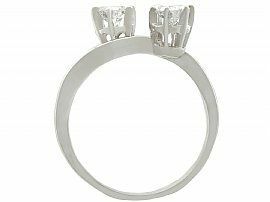 The curved tapering ring shoulders integrate into the twist design and blend seamlessly with the plain hallmarked ring shank. 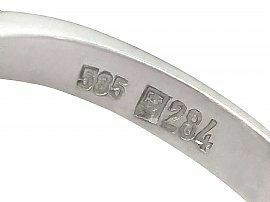 The hallmark to the interior of the shank is the 14 ct gold fineness mark (585). 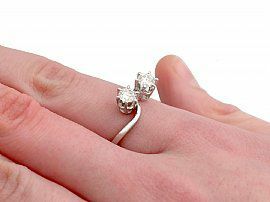 This vintage diamond ring is supplied with two independent diamond grading certificates, one for each diamond. 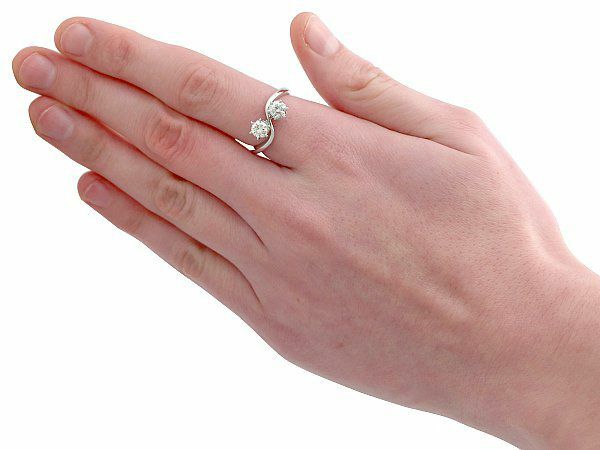 This impressive multi-diamond dress ring is fine quality set with very high colour graded, very high clarity graded diamonds.